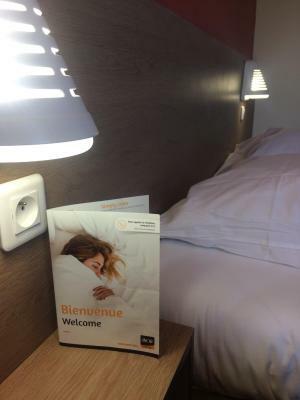 Lock in a great price for Ace Hotel Poitiers – rated 8.5 by recent guests! This hotel was exactly what I wanted for a pitstop on our roadtrip, low cost, close to the motorway, clean, simple but effective breakfast and really nice staff to welcome us on arrival. I would stay here again. Overnight stay on return from Spain. Receptionist friendly. Comfortable bed. Hot shower. Recommended restaurants within walking distance offering reduction to guests. (I chose the one not next door - food was delicious). Secure parking. Excellent wifi. Would certainly stay again. Easy to find on sat nav. Plenty of space to park. Choice of continental breakfast. No bar at the hotel but restaurant next door, which opened at 7pm. Good restaurant food. There was a small Carrefour close by where you could by drinks/water/food if you wanted. We didn't have breakfast but there was a very good patisserie close that opened at 6am so we got some croissants there to eat on our journey. Good area around the hotel to walk the dog. 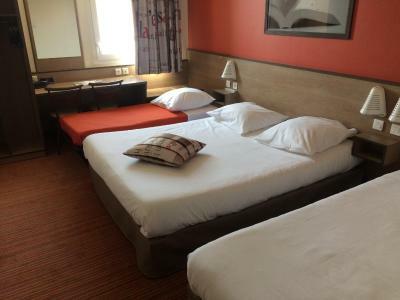 Friendly, helpful staff in a clean hotel located near to the motorway. There was a very good restaurant only a few yards from the hotel where we had a a delicious meal in a charming room. The proximity to the road did not disturb our sleep and we awoke rested and ready for the next stage of our journey. 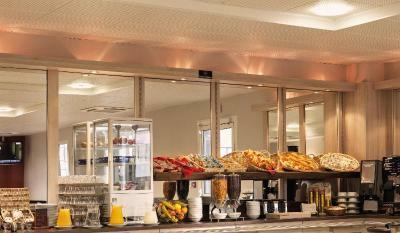 The breakfast at the hotel was varied and filling, checkout was very straightforward and we were on our way without any fuss. 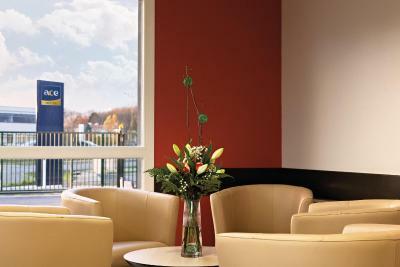 The helpful, friendly staff, the secure parking and the overall ambience. It was also a good stopping off place on the way to Spain. One of our best sellers in Poitiers! 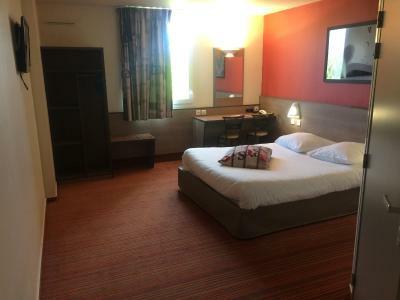 ACE Hôtel Poitiers is located just 3.7 mi south of the city center and next to the university hospital. 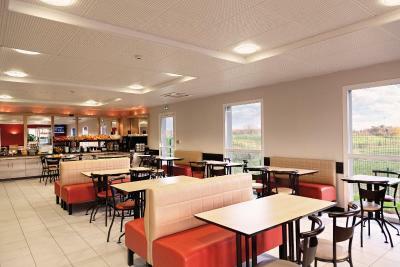 It features a 24-hour reception free private parking and free Wi-Fi access. 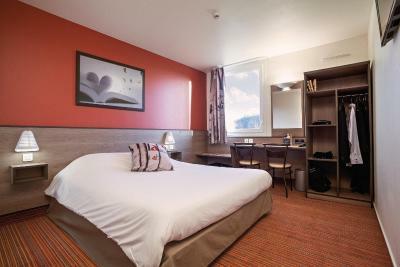 The rooms at ACE Hôtel Poitiers are decorated in a contemporary style and feature a flat-screen TV with Canal+ channels. 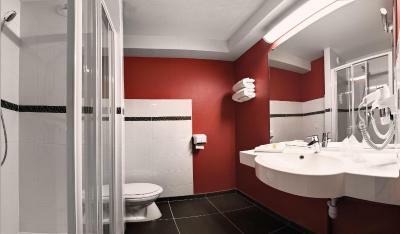 Each one also has an private bathroom with free toiletries and a hairdryer. 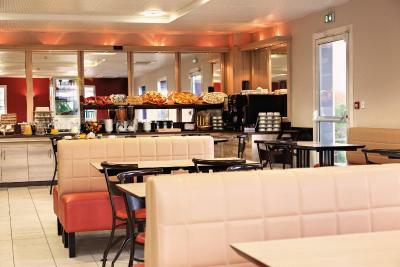 After enjoying the buffet breakfast, you may decide to visit the congress center or Futuroscope, which are both 9.3 mi away. 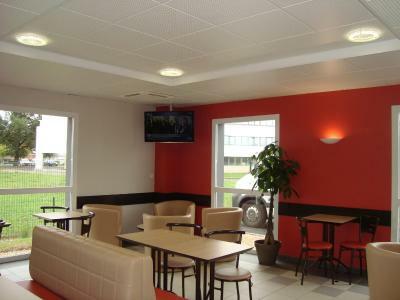 The property is also ideally located next to the E62 motorway. 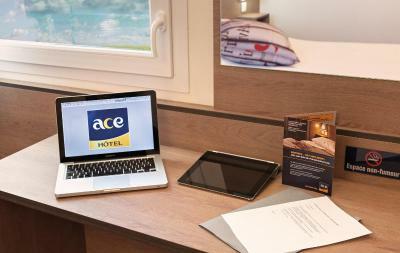 When would you like to stay at Ace Hotel Poitiers? 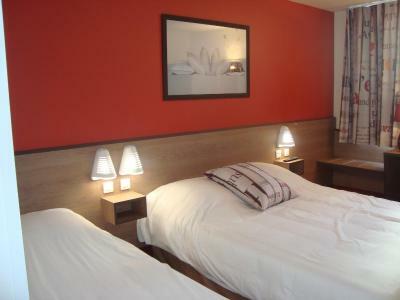 Rooms are decorated in a contemporary style and feature a flat-screen TV with Canal+ channels. 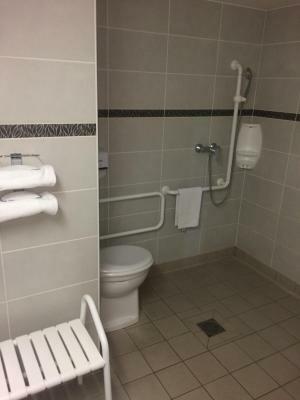 Each one also has an private bathroom with free toiletries and a hairdryer. 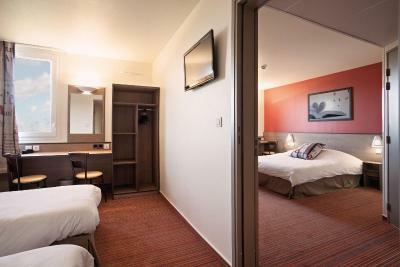 This quadruple room features a flat-screen TV and air conditioning. 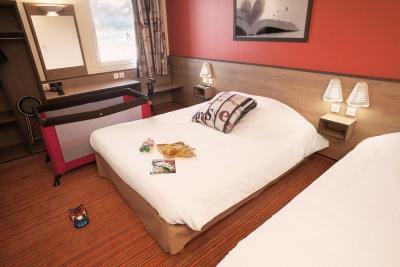 Please note that the fourth bed is a pull-out bed and can only welcome a child aged 16 and less. 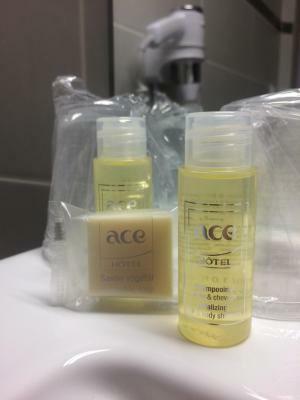 ACE Hôtels, a new, more generous budget hotel chain. 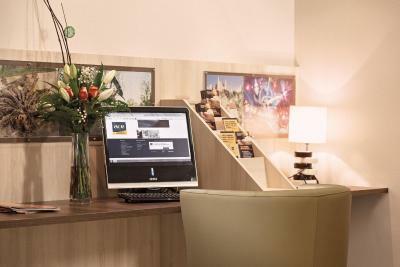 Created by independent hotelkeepers, our hotels combine a warm welcome, space and calm, to rediscover the meaning of comfort at the best price. Quite simply feeling good. 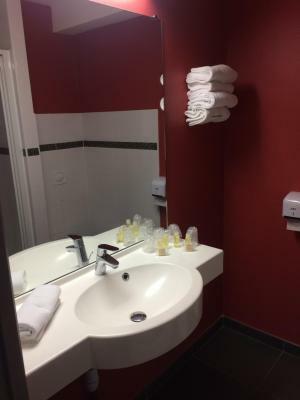 House Rules Ace Hotel Poitiers takes special requests – add in the next step! Ace Hotel Poitiers accepts these cards and reserves the right to temporarily hold an amount prior to arrival. 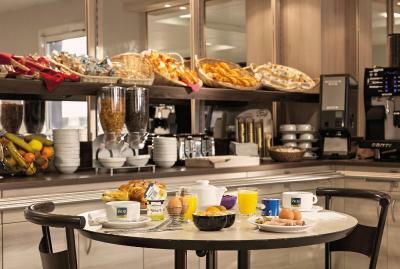 Please note that for children aged 3 to 6, breakfast costs EUR 4.70. 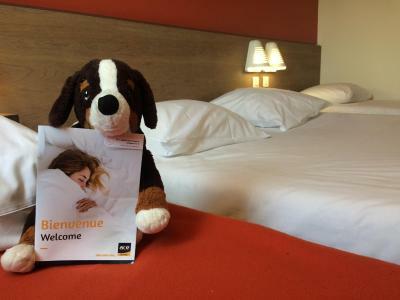 The beds were very soft. No tea and coffee facilities in room. 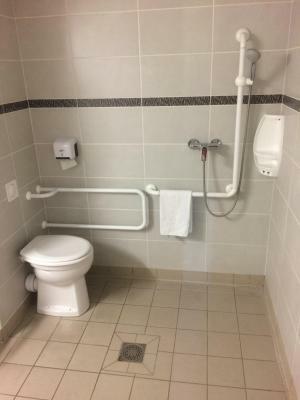 Very basic facilities. All plastic. I can't think of anything that could have been better. Stayed here before. 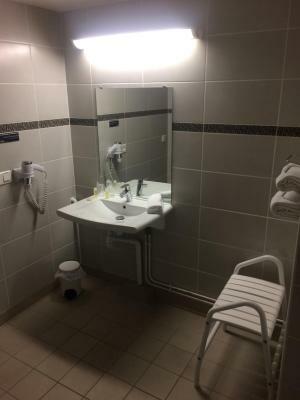 Friendly staff and clean. It unfortunately doesn't have water or tea and coffee in room! 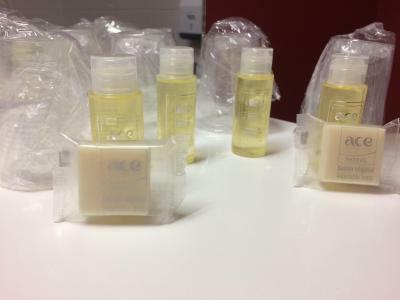 Soap very small and once it was forgotten to be put in our bathroom! Near where our friends live! 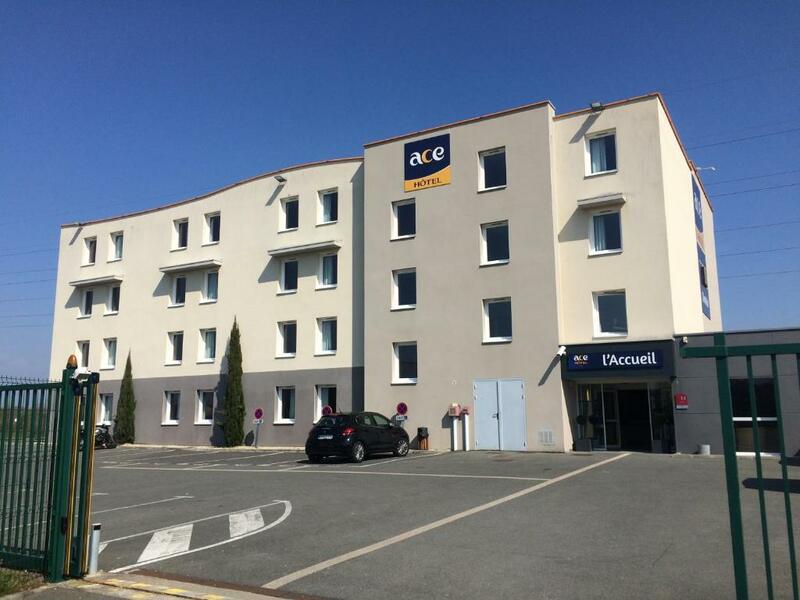 We use this hotel everytime we visit Poitiers! We find it very reasonable for the price ! The staff at reception make you welcome ! 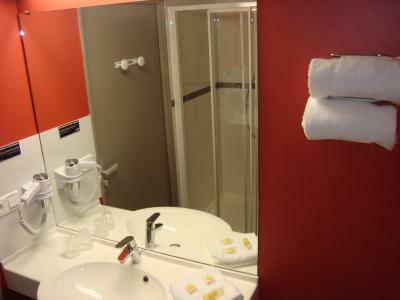 Bed comfortable and towels changed everyday!